I'm completely hooked and in love with the Anne of Green Gables series. How is it that in all my years I've never read these books? I think I tried once when I was very young, but probably found them too wordy. Now I hang on every description of Prince Edward Island and adore the way that Anne notices all the beauty in nature. There is such a simplicity in the way they lived I think, that they were able to see the beauty without a bunch of junk crowding it all up. They sewed, they read, they walked, they canned, they farmed, they baked, they talked to each other! Imagine that! It makes me think that just about everything else in life is taking away from life itself. Frankly, I'm quite sick of it all. Driving on the high way the other day I noticed all the big ugly billboards, all the unmatched and ugly stores and restaurants, all the words yelling at me everywhere. I want quiet! I don't want all this stuff thrust in my face every time I wander outside my home. Anne of Green Gables has left me in a beautiful stupor of pretend land where roses bloom, and fir trees sing, and there isn't a giant Rite Aid on every darn corner. I am on book three presently, and I'm requesting the entire set for my bookshelves as a birthday gift. Here are some gems I gleaned from the first book. "It's been my experience that you can nearly always enjoy things if you make up your mind firmly that you will. Of course, you must make it up firmly." "Why must people kneel down to pray? If I really wanted to pray I"ll tell you what I'd do. I'd go out into a great big field all alone or into the deep, deep woods, and I'd look up into the sky-up-up-up-into that lovely blue sky that looks as if there was no end to its blueness. And then I'd just feel a prayer." There's such a lot of different Anne's in me. I sometimes think that is why I'm such a troublesome person. If I was just the one Anne it would be ever so much more comfortable, but then it wouldn't be half so interesting." One June evening, when the orchards were pink-blossomed again, when the frogs were singing silverly sweet in the marshes about the head of the Lake of Shining Waters, and the air was full of the savour of clover fields and blasmatic fir woods, Anne was sitting by her gable window. She had been studying her lessons, but it had grown too dark to see the book, so she had fallen into wide-eyes reverie, looking out past the bought of the Snow Queen, once more bestarred with its tufts of blosson. I came to the conclusioin, Marilla, that I wasn't born for city life and that I was glad of it. It's nice to be eating ice-cream at brilliant restaurants at eleven o'clock at night once in awhile; but as a regular thing I'd rather in the east gable at eleven, sound asleep, but kind of knowing even in my sleep that the stars were shining outside and that the wind was blowing in the firs across the brook." "Did you see all the diamonds those ladies wore?" sighed Jane. They were simply dazzling. Wouldn't you just love to be rich, girls?" We are rich," said Anne stanchly. "Why, we have sixteen years to our credit, and we're happy as queens, and we've all got imaginations, more or less. Looks at that sea, girls, all silver and shadow and vision of things not seen. We couldn't enjoy its loveliness any more if we had millions of dollars and ropes of diamonds. You wouldn't change into any of those women if you could. Would you want to be that white lace girl and wear a sour look all your life, as if you'd been born turning up your nose at the world? Or the pink lady, kind and nice as she is, so stout and short that you'd really no figure at all? Or even Mrs. Evans, with that sad, sad look in her eyes?" I'm just as ambitious as ever. Only, I've changed the object of my ambitions. I'm going to be a good teacher-and I'm going to save your eyesight. Besides, I mean to study at home here and take a little college coruse all by myself. OH, I've dozens of plans, Marilla. I've been thinking of them out for a week. I shall give life here my best, and I believe it will give its best to me in return. When I left Queen's my future seemed to stretch out before like a straight road. I thought I could see along it for many a milestone. Now there is a bend in it. I don't know what lies around the bend, but I'm going to believe that the best does. It has a fascination of its own, that bend, Marilla. I wonder how the road beyond it goes-what there is of green glory and soft, checkered light and shadows-what new landscapes-what new beauties-what curves and hills and valleys further on." I loved the "Anne" books, and the "Anne" movies. I agree with you about the simplicity of life. I grew up as a missionary kid in Africa, and sometimes the craziness of the U.S. still gets to me! I love your writing! Enjoy the rest of your "Anne" books! Anne is the best! I never read the books but saw all of the movies (videos) growing up and LOVED them. I got an Anne of Green Gables Madame Alexander doll for Christmas one year and now my girls play with her all the time. Loved your quotes. And congrats on your beautiful new niece! Oh my goodness - she is absolutely beautiful! I can just smell the newborn sweetness. This is my first ever blog comment. FIRST EVER. Anywhere. I think it's fitting that it would be about Anne! We grew up on "Anne" and all her friends. Even as adults we still read them over and over. I'm sure it is completely out of line to give advice in the comment section of a blog but I'm gonna do it anyway. If there is any possible way, plan a family vacation to Prince Edward Island!! I know it seems crazy and far but it's worth every minute and dollar spent traveling. When I was about 14 we DROVE from St. Louis (it took forever-well worth it). That first trip is one of my most precious childhood memories. It might just be the most beautiful place on earth. I've been back many times and the magic doesn't fade. I am always thrilled when I hear about someone discovering Anne for the first time. Happy reading! It just keeps getting better. You know the best part about the Anne books it shows a journey and not just a small part of life but all of the wonderful details. If I was a character in the book I would be Diana, and it's funny that my best friends in life are all a little like Anne. Great post! I, too, adore the books. Have you seen the series, starring Colleen Dewhurst, Richard Farnsworth, and Megan Follows? It's rather old. BUT... the scenery of the movie is just like what you imagine the story to be. It's absolutely, positively, undoubtedly, breathtaking. I am so glad you've found Anne at last! You must be a kindred spirit. Our family listened to the first Anne book this summer and loved it. We are moving forward now. They are beautiful and I too yearn for a much simpler life. Of course, my husband tells me that women didn't always have it so good then. I have kept up with your blog for awhile now, but haven't really posted. However, I hope you'll trust my recommendations nonetheless. The Anne books are amazing (I reread through them recently after reading a recent bio of L.M.). As a college student I was introduced to another of her books "The Blue Castle." After you read through Anne make it your business to track down this absolute gem. I have reread it almost once a year since first discovering it in college. I love, love, LOVE Anne. I've read and re-read the entire series more times than I can count on my fingers and toes. I even almost put Avonlea in the title of my blog... I've reserved the name "just in case" I ever change my blog's name. I can't think of many reasons I'd want to go back to being a teen, but Anne is one reason I would. I used to spend my summers curled up with her indoors and outdoors and on car trips. *Sigh* I laughed and then sobbed huge tears as the series ran smack into the war. that series shaped my transition from child to teen. I read it for the first the time when I was in elementary school and loved it. I was given a gorgeous new set when I was 12 or 13, I think, and reread it. I've read those books at least once a year since. I ADORE those books! I read them as a kid and I have read them over and over again. Every time I read them I get a new perspective on them because my life parallels a different point in Anne's life. I generally read them in a week and for the next month I am just lost thinking in Avonlea world. You should introduce the books to your daughter. I loved them when I was her age. They are timeless and relationships haven't changed much through the years. I have come to view certain people that I have met over the years as "kindred spirits". You just know it when you meet them. Oh and because of the books I love the name Blythe - I would like to use it as a middle name for a girl someday but I don't think my husband would agree. Finally there are a few books of short stories that L.M. Montgomery wrote about the other townspeople of avonlea. They too are great reads and you get to see a bigger picture of the people and the town. P.S. If you want to watch the movies the first two are great. Skip the third one. They used the characters (and the same actors) but wrote their own story about Anne & Gilbert going off to war. It never happened in the books and the whole movie made no sense. It was a travesty. Sarah: Now you have me wondering where my ANNE books are! I do have the ANNE OF GREEN GABLES DVD set. I asked for the books and the DVD's long ago...my daughter just LOVED the PBS series they did when she was little. I remember having to braid her hair for her, and she wore a certain dress that was old-fashioned enough to make her feel like she was part of the story. I loved that she loved it, too! Her words in the book were just beautiful, and taught all readers to enjoy the truly beautiful things in life, and that's a great thing! Thanks for the reminder and pointing out how "noisy" we can let our lives become! As some other gals suggested, once you get through a good number of books sit down and watch the DVD series - it's really well done too. I can't believe all the Anne fans! 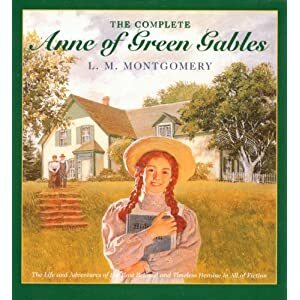 I just had to chime in as a fellow kindred spirit :) I've been a fan since I was a child and I first saw the Anne of Green Gables movie (the ran it on PBS periodically) with Megan Follows and Colleen Dewhurst. I read the whole series of books as well. If you haven't seen the movie and it's sequel, YOU MUST. It is so true to the spirit of the book and the actors do such a wonderful job portraying the characters. I promise you'll love it! I have to agree with a previous commenter and say that the 3rd installment of the series was horrible. I hated it and it did not have the same feeling as the first two. It was dark and dreary and depressing. We have enough of that in this world. BTW, congrats on your new niece - what a cutie! Oh, congratulations on discovering Anne! Isn't she marvelous?! She was my girlhood heroine. I'm guessing she's the heroine of most red-headed girls. All 8 books in the Anne series are good, so you have a lot to look forward to. And L.M. Montgomery wrote a number of other books, too--let me know if you'd like a list of them. Such treats await you! Now I truly consider you an online "bosom" blogger, Sarah! Enjoy your read, and after that watch the Megan Follows movie version as so many of your readers have already recommended. YES! I loved these books when I was a girl! I think I lived in "Anne world" through my parents' divorce. I guess I am one of the few who has not read the books. Surely if I read them when I was younger I would remember. I am so looking forward to starting the series thanks to your recommendation. The Anne books were the BEST set of books that I ever received...twice! Yes, my step-mom gave the same three of the series to me two Christmases in a row...but she did that with a Scrabble game too, so maybe that's just her. Either way, I was hooked from book one...and I wanted to find my own Gilbert when I was a teenager and in love for the first time! The Anne series is a classic that every woman should read at some point in her life...so glad that you found them now! Enjoy! ok now you've made me want to go dig out my Anne books!! Years ago I had the chance to visit Prince Edward Island- and it was magical!! such a beautiful place and those fields with flowers!! oh my!!! I also grew up with Anne and all the other L.M. Montgomery books. The Blue Castle is my favorite. I read it at least once a year. I named my first daughter Megan after the actress that played Anne in the movie! Thank you for bring that happy place back to me today! I don't just love Anne, I love every single thing I've every read by L.M. Montgomery. Oh sure, some of her books have more literary merit than others, but they all have characters who are individuals. That said, I find some part of me that can relate to every single one. They are so real. And, her stories are so full of values and good humor. I challenge you to go out and read some of L.M. 's lesser known works, like Magic for Marigold and the Blue Castle....and just wait until you get to Anne's House of Dreams! Beautiful books, all of them. And, guess what? We started planning our summer roadtrip this week, and part of it will be spent on PRINCE EDWARD ISLAND! My husband is a saint. Just reading it makes me cry.....I bawl at the movies especially the first one....I have seen it a ton of times but I still cry..tears..flowing down! I love everything by L.M. Montgomery. My copies of the Anne books (given to me by my grandparents when I was nine!) are falling apart from being re-read so often. Now I'm collecting any I find at thrift stores for my own daughters. Sarah, I'm surprised you haven't read them either. I am a huge Anne fan, although I am ashamed to admit it's all due to the movies. If you haven't watched them, you must! We watched them as a family - boys included....we laughed, we cried and ever since I have wanted to travel to PEI. Some day....I have not tackled the books yet but perhaps I will since you are enjoying them so much. I'm just starting "These Is My Words"! I can't keep up w/you! I might listen to the Anne books because they've been on my list for a long time. When my family went to Disney, the only souvenir I bought was the soundtrack to the Anne of Green Gables movies. It was in Canada in Epcot - composer - Hagood Hardy. Love it. I am currently going through Little House Series. It's totally helping me get through the long Michigan winter. When I start to grumble I think of Ma having to go out and feed the animals (because Pa was stuck in a blizzard) and get milk only to slosh half of it out of the bucket and have some of it freeze to her skirt as the wind blew. Yikes. I have to laugh at my 34 year old self talking about Ma and Pa. I am such a dork! But I LOVE THIS STUFF and never read it as a child! I think it is for the best though because I wouldn't have appreciated it as I do now. Some of the best books ever. They make me so happy. 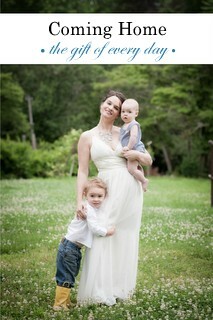 Thanks for mentioning - I have needed a boost since I've had my first child & am still getting adjusted. Now I can look forward to reading this series again for a pick-me-up! I found the first Anne of Green Gables book in a box at a ladies bazaar as a young teen(I am older) and started reading it but didn't have the dollar to buy it. Years later in college I found them in the College Bookstore and promptly made plans to buy each one from my meager paycheck as a resident assistant. I was ecstatic to see there was more than one book. That first set did not have Rainbow Valley and Rilla of Ingleside, but did include stories of Avonlea and Further stories of Avonlea. I gave my first child "Marilla" as a middle name. In college she met a girl named "Eowyn" and commiserated with her on their mothers' tastes in books. Blue Castle is very good - Akin to Anne (short stores) is also good. I think Rainbow Valley and Rilla of Ingleside had different editors because they read VERY differently from the previous Anne of GG books. My youngest daughters have really enjoyed the movies and books. They are so friendly and pleasant to experience. So glad you are enjoying them!! Sarah, I think you and I are kindred spirits when it comes to books. I had just finished reading "These is my Words" when you posted about the book, and I felt the same exact way that you did. And I had just put "Anne of Green Gables" on hold at the library right before reading your blog today! 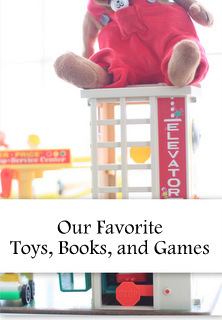 We also have a lot of the same books on our Goodreads lists. You've great taste when it comes to books! I couldn't help but read all of the reviews. I grew up in PEI and all my family still resides their. I have moved to Vancouver but still love going home every year. It makes you feel blessed to grow up in such a quaint and gorgeous place where nature is with you at every step and playing inside was never an option. With fields, ponds and beaches to explore like Anne of Green Gables we felt like Queens of the Island. Rich beyond believe. *SIGH* Anne is magical. I was meant to be born a few hundred years ago I think. If you liked Anne you should read "Laddie, a True Blue Story". It reminds me a lot of the Anne books. I am so excited to see that there are so many Anne lovers! I began reading them as a young adult and was in.love! I just loved Gilbert and Anne and there relationship with each other. Have fun reading them! You are going to love it! you have captured in words the very thoughts that have been on my mind. at our house we have been slowing down. we are evaluating where to spend our time. making sitting down together as a family a priority. sitting down and talking-it is sad that this is becoming a lost thing in the face of internet and phones. LOVE this post! i'm going to read these books now, thanks for sharing. When I was living at the dorms my first year of college, I got a call from my dad out of the blue. My mom was out of town and he was home all alone and he was calling to tell me that he spent his time alone watching the best movies and he just had to tell me about them, because he thought I would love them. And would you believe that they were were the "Anne of Green Gables" movies? My dad, the hunter, the man's man in every sense of the word not only enjoyed them, but had to call me to tell me! I still haven't gotten around to seeing them, and I know I read them when I was younger but don't really remember them. I'll have to read them soon, then call my dad to tell him all about it. Thanks for the reminder! I recently introduced the Anne series on VHS to my 10 year old daughter. I introduced them to my two older daughters when they were about her age too. She didn't want to watch them and even complained alot when we first started. But now, she's hooked and says she wishes there were others to watch. I've never read the books, but maybe this is the way to get her hooked on reading as well! I love Anne! Gilbert Blythe is one of two fictional men my husband would have to watch out for (Mr. Darcy is the other). For our 10th anniversary last summer my husband secretly planned a getaway back to the B&B in Maine where we spent our honeymoon, then a few days on Prince Edward Island because he knows how I love the Anne books and always wanted to visit there. It was amazing, and such a thoughtfully planned gift! We live in Idaho now so it was quite a hike with all the travel, but totally worth it. I also love Anne, but I watched all the movies. Hubby bought me the series for Christmas one year. Glad your enjoying them, there clean wholesome entertainment. That is precisely how I felt when I finally read Little Women this winter. There's so much noise around us all of the time! How can anyone enjoy the beautiful scenery and all of life's little moments, if we're constantly being bombarded by noise? Tv's, radios, billboards, the internet, and cars EVERYWHERE! Don't get me wrong. I take advantage of these luxuries just as much as the next guy, but wouldn't it be nice to sit next to a fire for a change and just talk and work on your sewing? My grandmother gave me these books when I was in the 5th grade. I loved them so much that my daughter's middle name is Anne (with an E). I really think they shaped the adult I became and I can't wait until she is old enough to start reading them too. By the way the movies (Anne of Green Gables and Anne of Avonlea with Megan Follows) are wonderful. If you like the books I suggest watching the movies too. When you finish the books, you need to read L.M. Montgomery's journals. There are three volumes and they are wonderful. She was so much like her character Anne and it is sweet to read her "real life" words about her own escapades. You will LOVE them. Hi there - I've never commented on your blog before but I must join in all the Anne celebration. I'm an Islander, born and raised here - lived "away" for 10 years then had to come back home with my dh (also an Islander) to raise our 5 children here. Enjoy your reading - what a delight to think you have all the lovely world of Anne ahead of you to explore! I grew up just a few hours from Anne's place. The Canadian Maritime provinces are beautiful - if you ever get a chance to visit do it! Just go in July or Aug. Too cold the rest of the year! I've read the whole series just about once a year since I was old enough to read. They never get old. Now my daughter is falling in love with them too! I love Anne! And I usually don't think that movies ever do books justice, but these movies really are just as wonderful as the books. I dont know that I have ever commented on your blog before, but I have been a lurker for almost 2 years. Anyhow, I LOVE the Anne books! I have been a huge fan since my sister, mother and I read them one summer when I was about 10. We have all been hooked since, and have each read them again at least a dozen times each. My mom went out and bought the movies and we have watched those (and memorized many parts!) a ton of times as well! We hope to one day take a girls trip to PEI one day. We would love to see it in each season. Glad to hear you are a fan, too! I love them too! My husband got me the set for a Christmas present when we were first married. Now I use them as read alouds for the kids. My 13 year old boy, won't admit that he enjoys them - but he sure pays attention and can quote back stuff from the book! Sarah, you are amazing! I hear about "Anne..." for the 1st time ( not popular at all in Romania :-( ) and put it on my reading list. Million thanks for sharing all these beautiful things in your life! I saw all the comments and I could not, not jump on that band wagon! I am a devoted fan through and through! After you finish the Anne books, read Emily of New Moon, Emily Climbs, and Emily's Quest. Ooooh, after reading this I am aching to read all these books again! I dream of PEI and have since I was a little girl. Someday, someday. If you haven't seen the movie...you MUST. It is one of the few screen adaptations that is equally as magical as the written story. The movie will cause you to become even more entranced with the enchanting story and life in PEI. I am also a lover of all things Anne!!! I jjust read the whole series 2 years ago and wanted more!! If you love Anne then you will love the continuing stories Road to Avonlea. My daughter and I love all the Anne movies as well, and Road to Avonleas was a 7 year sitcom! They have the same feel as Anne and even the same characters! Marilla and Rachel are in the series! Thanks for the post. I agree ! Sometimes I just want to move away from everything! By the way, I always love your blog and never miss a post! Hi Sarah! I found your blog through Amnah's "This Little Life of Mine" a few weeks ago. I have been reading the archives and must say, I love your blog! You are so practical and have a wonderful way of writing and offer such good advice. I especially love the Vintage Parenting series. Anyways, just wanted to say that I fell in love with Anne in junior high school and have been in love with her ever since. I've also been dreaming of Prince Edward Island ever since. I love everything Anne!...the books, movies, the animated series, the Road to Avonlea series. My family makes so much fun of my "slight" obsession. i am just now reading these too! my mother in law gave me anne of green gables for christmas. i'm halfway through anne of avonlea now. i can't believe i made it this far in life without knowing anne! i feel cheated! Sarah,-- Carolyn, at the blog Aiken House and Gardens is a resident of PEI, and she and her blog, home, and garden are just gorgeous. Thought you might want to "meet" her before you head up there! She, like you has an absolutely beautiful family, too! Her photography is to die for! Recently she showed a lot of the Island. Sarah, I've never read them, but after this post and all the comments you can bet I will be!! They sound wonderful. Before my beloved first child was born I knew I wouldn't giver her her first name until the moment laid eyes on her. But one thing I knew was that her middle name would be Anne with an e. Hoping she would be a strong spunky individual. Too my amazement she came out with RED HAIR. Being Korean this was shocking to say the least. As a now 6 year old she wears her hair in two french braids everyday and has for the last 3 years. She encompasses Anne to a T. The Anne Series was my favorite as a child and L.M. Montgomery is my favorite writer of all time. PBS made a fantastic Anne Series in the 80's which stars Megan Follows as Anne. You must get it for your kids. It's amazing. PEI is my dream home place. You are so lucky to have discovered Anne. I read the whole series during each of my six pregnancies to cheer me up. You need all the help you can get when you're pregnant, right? I haven't been pregnant for five years, so I read Anne of Green Gables to my 3rd grader for Literature. (I home school.) I loved it that everyone, the 18 yr. old to the 5 yr. old couldn't help but get drawn into the story. The only problem is, it makes me wish our society didn't seem so different. If you've never heard of Little Britches, by Ralph Moody, you should read that series too. It's a wonderful series that I've read many times. It's about the author's life growing up and my children loved the series. I really enjoy your blog. It makes me happy to read thoughts that are close to my own, but put wonderfully into words. You're a kindred spirit. :) Keep up the good work. I love seeing other adults that love the Anne series as much as I. I received the whole series in paperback back in 1993. I have read them almost every year since. My favorite book is the 4th. I've read that one so much that the front cover has since fallen off. it's so fun to find another kindred spirit!! i love l.m. montgomery. she has a couple other books i love too. the emily series is fun and i love blue castle. a friend in college introduced me to anne girl and i've loved her ever since. i want want to go to pei some day and just soak in all the wonder and beauty of her world. I grew up going to Prince Edward Island every summer.On the way there (a 13hrs drive) my mom and I would listen to Anne on a book on tape. I grew up reading the books and visiting the places that Montgomery writes about. Now my mom lives in P.E.I.. It was always her dream to live there and now she does and is very happy there.When I go visit her, I feel a sense of peace as soon as I step foot on the red island soil. It's as though every worry and stress that I have just disappears. Go there. I promise you will love it! The Anne movies are my absolute favorites!! I got the complete set of books for Christmas and am slowly (I have four small kidlets around) re-reading them. One of my favorite parts is when she talks about the ministers wife being happy to be a Christian. Anne makes me smile and makes me want to pay more attention to life.